Arnel Papa has witnessed Philippine export’s golden years - as a young supplier of beads and components who started selling at trade shows back in 1984 - and its decline triggered by a worldwide financial crisis during the late 1990s. By then, Arnel had already built his reputation as a jewelry-maker with a taste for fabulous scale. 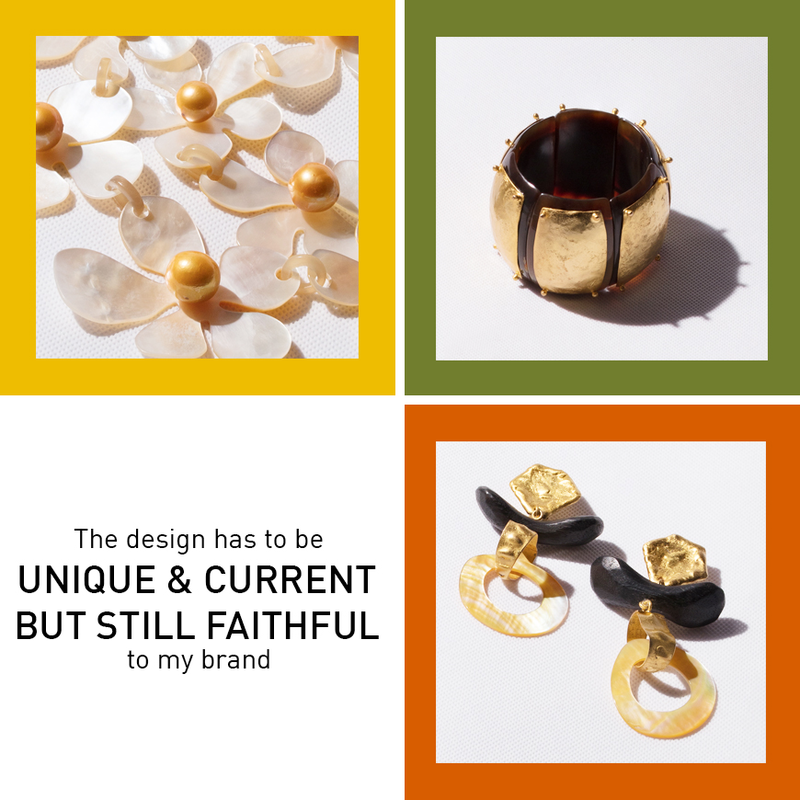 Clockwise from top left: Detail of mother of pearl and golden pearl necklace; Carabao horn bangle with gold-plated accent; earrings made from mother of pearl and carabao horn with plated-gold settings. Arnel is one of the few survivors of the Philippine fashion accessories industry’s downward spiral. 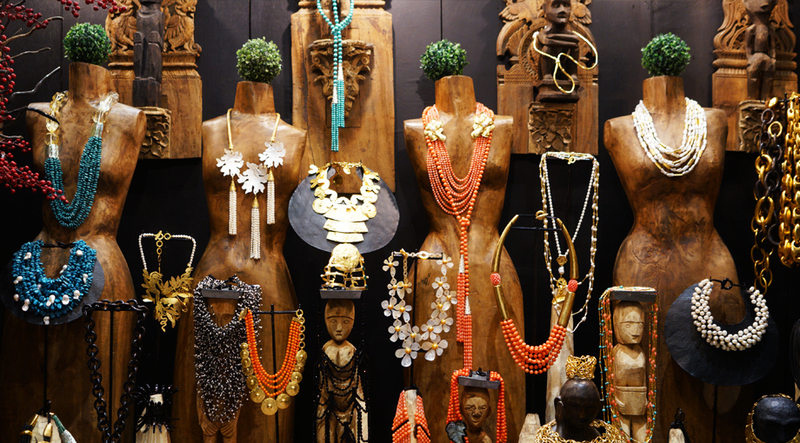 The country used to be a top resource for casual jewelry made from various local materials, such as shells, carabao horn, wood, coco beads, etc., with Cebu considered as the industry’s heartland. Realizing the talent of Cebu’s craftsmen, Arnel recruited some of them when he started his export business. Up to now, those workers - including others who hail from different parts of Mindanao - are still with Arnel’s company. “Mula nung binata at dalaga pa sila, hanggang nagka-anak at apo na,” Arnel exclaimed. 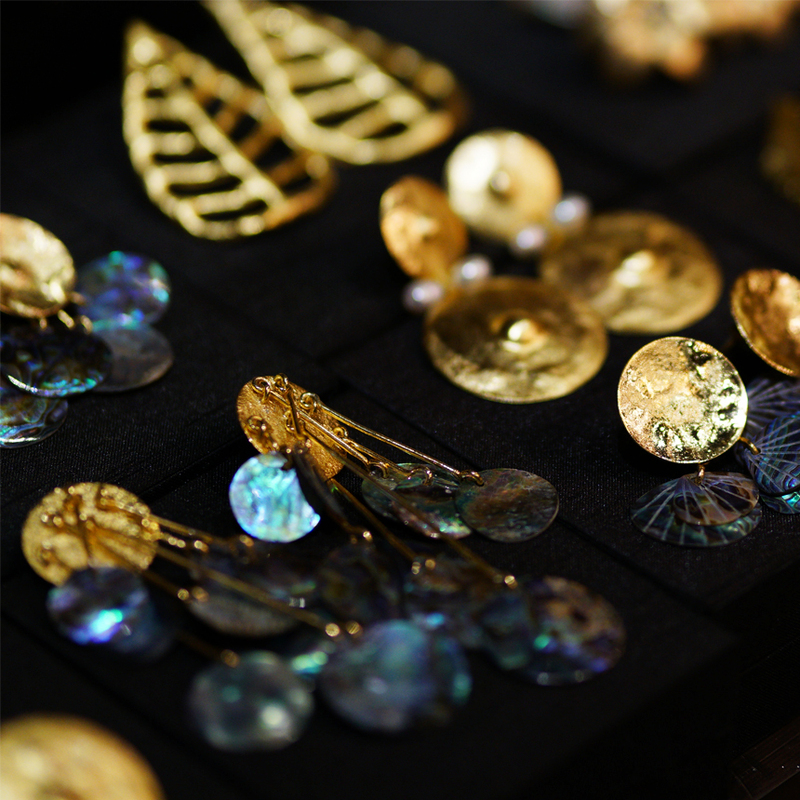 Earrings made from gold-plated discs and hand-carved black mother of pearl pendants. Arnel Papa’s tantalizing tableaux seen at Manila FAME October 2018. Top photo: A multi-layered necklace made from freshwater pearls.